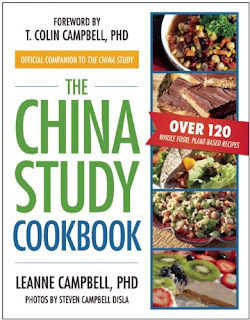 This week, I'm reviewing a cookbook: The China Study Cookbook by Leanne Campbell. This is the "official companion to The China Study". If you haven't read the China Study by Colin Campbell - you should - and I'll maybe review that another day. Anyhow this companion cookbook came out this year - 7 years after The China Study. 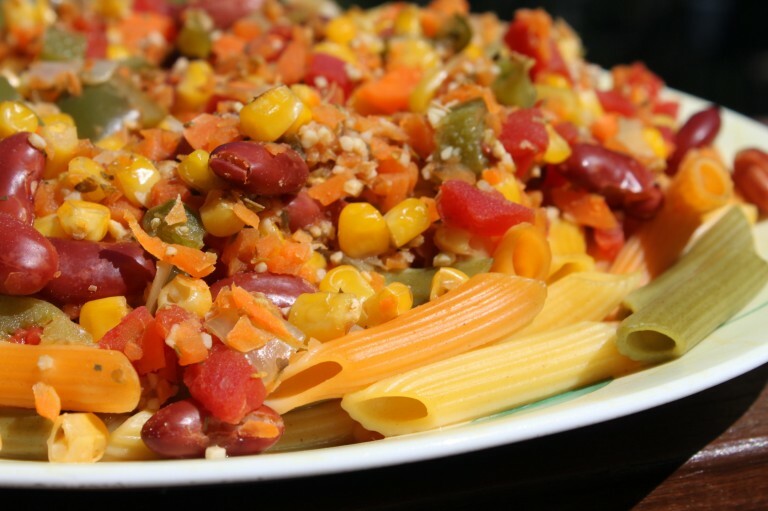 It is written by the daughter of Colin Campbell and features recipes for "easily prepared plant-based food with no added fat and minimal sugar and salt with the goal of promoting optimal health without sacrificing taste". The breads all rely on whole wheat flour and sucanat for a sweetener. It would have nice to vary the grains a little - especially offering at least one gluten free option.... maybe even just for the corn bread? In the breakfast section there is the usual french toast, crepes, muesli, scrambled tofu, smoothies, hash.....Nothing really excited me in this section. A big downside to this book for me was the photography. I really didn't find the pictures to be appetizing. They tend to be close-ups of food with no real styling at all - just the odd basil leaf thrown in. Not one photo made me want to cook that dish. I do like to see recipe photos and rarely buy a book without them - but they have to be good photos. The sandwich section includes chickpea burgers which sound nice but again include vital wheat gluten and panko breadcrumbs so need quite a bit of conversion for gluten free. I am very familiar with making recipes gluten free so its not that this book loses "marks" for me in this book. It is that I don't find it very interesting. 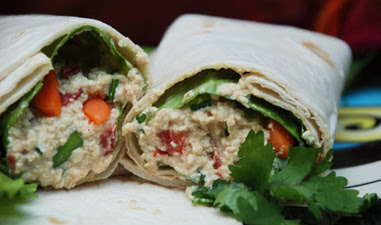 For example - hummus wraps: chickpeas, tahini, lemon juice to make the hummus then spread on a wrap with a bit of lettuce and tomato. One recipe that did catch my eye was African vegetables - but the photo again was awful. And its not that all the recipes are trying to be really easy - the majority of them have more than 12 ingredients in them! So I have to say, this book is not my style. The recipes don't grab me, many have lots of ingredients, there are no gluten free options (but it also doesn't suggest it is gluten free), there is quite a lot of sucanat in several recipes...and there is not one recipe that I have thought I wanted to try. There are plenty of other plant based, no added oil, sugar or salt cookbooks I would recommend over this one. 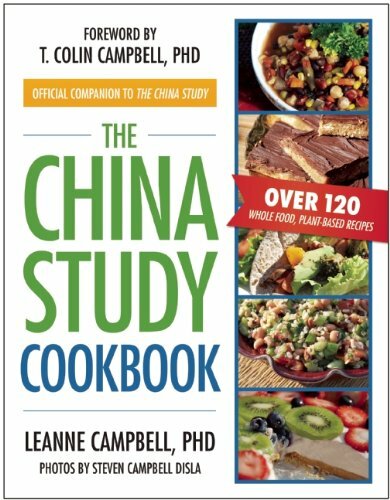 So do yourself a favor - read The China Study and Colin Campbell's new book Whole, but skip the cookbook.